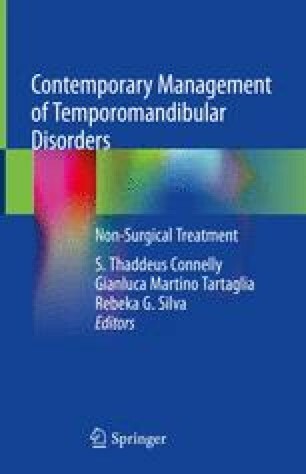 Patients with temporomandibular disorder (TMD) exhibit impairment of orofacial muscles, mastication, and swallowing. The objective of oral motor treatment is to rehabilitate the stomatognathic (or orofacial) functions and to resolve the signs and symptoms of TMD. The basis of this treatment, the way it is performed, and the possibility of combining it with other modalities and future perspectives are discussed in this chapter.